Meet Sayuri, who was born with a cleft lip and has just celebrated her 1st birthday! Her parents, from the district of San Juan de Lurigancho in Lima, were initially shocked when the doctor told them that Sayuri had been born with a cleft lip. 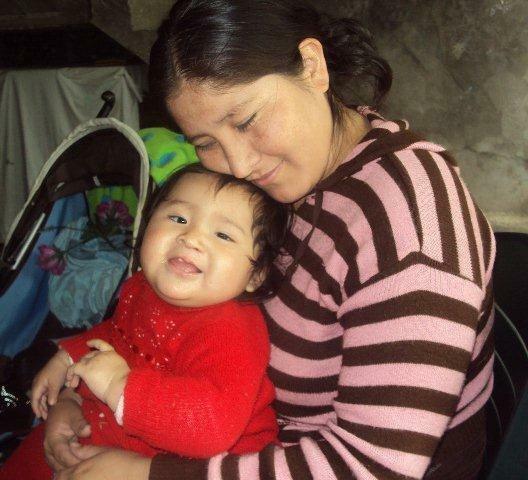 Her mother, Nancy, had never seen a child with cleft lip. She was initially sad, scared and desperate. Little by little, Nancy turned that fear into action and she armed herself with information. 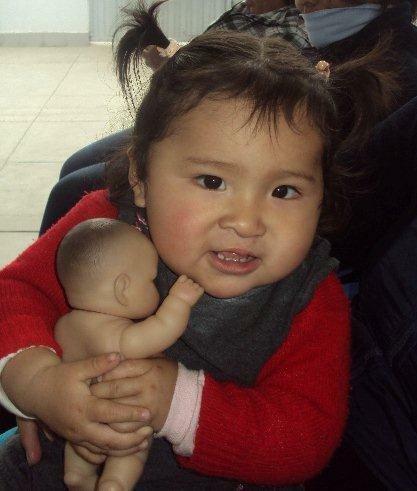 Sayuri, as a result, had her first operation when she was 8 months old. Nancy and Sayuri then began to visit Kusi Rostros, which administers our CRC Project, for follow up care, such as speech stimulation support and dentistry advice. The family has also been seeing a psychologist. Nancy is grateful that she no longer needs to pay 15 soles ($6 CAD) for speech support and that treatment is available close to home. Children like Sayuri and parents need help in the early stages of infancy to make sure that the child has the best possible future. We provide both the initial surgeries but also comprehensive rehabilitation – that includes feeding and psychological support. But it’s not just children who are being supported, it’s teenagers and parents too! Help us Close the Gap in Cleft Care – Donate Now!